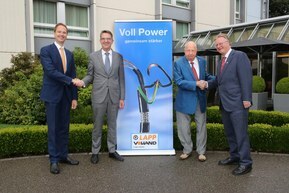 Sealing the deal: Andreas Lapp (CEO of the LAPP Group; full right) and Matthias Lapp (CEO of LAPP for Latin America, Europe, the Middle East and Africa; full left) purchase Volland AG from Managing Director Reto Volland (left) and President of the Board of Directors Rudolf Volland (right). 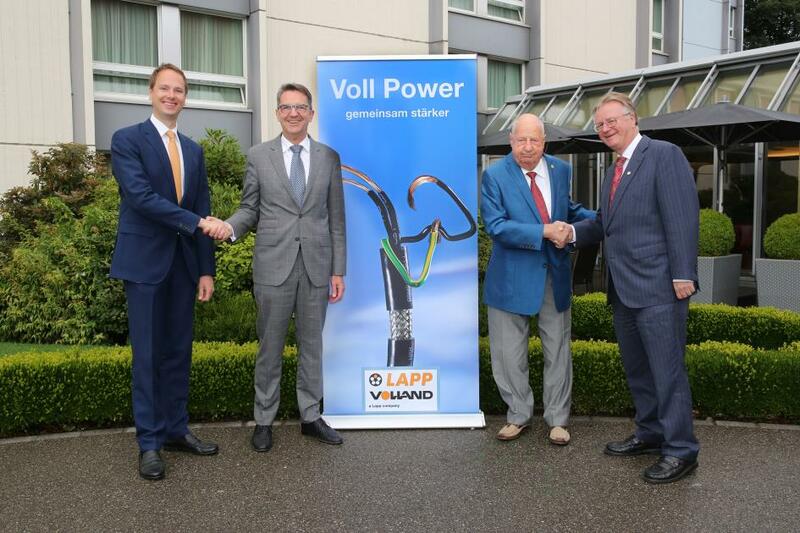 LAPP, a global market leader for integrated cable and connection technology solutions, has acquired its long-term Swiss distribution partner Volland. Company founder Rudolf Volland and Managing Director Reto Volland signed the purchase agreement with Andreas Lapp, Chairman of the Board of LAPP Holding, and Matthias Lapp, CEO of LAPP for Latin America, Europe, the Middle East and Africa, in Rümlang, Switzerland on 3 July 2018.